At a pressure of 1000 V applied between each live conductor and earth for a period of one minute the insulation resistance of HV installations shall be at least 1 Mega ohm or as specified by the Bureau of Indian Standards. Medium and Low Voltage Installations- At a pressure of 500 V applied between each live conductor and earth for a period of one minute, the insulation resistance of medium and low voltage installations shall be at least 1 Mega ohm or as specified by the Bureau of Indian Standards] from time to time. Insulation resistance tests are made to determine insulation resistance from individual windings to ground or between individual windings. Insulation resistance tests are commonly measured directly in megohms or may be calculated from measurements of applied voltage and leakage current. The recommended practice in measuring insulation resistance is to always ground the tank (and the core). Short circuit each winding of the transformer at the bushing terminals. Resistance measurements are then made between each winding and all other windings grounded. Transformer windings are never left floating for insulation resistance measurements. Solidly grounded winding must have the ground removed in order to measure the insulation resistance of the winding grounded. If the ground cannot be removed, as in the case of some windings with solidly grounded neutrals, the insulation resistance of the winding cannot be measured. Treat it as part of the grounded section of the circuit. We need to test winding to winding and winding to ground ( E ).For three phase transformers, We need to test winding ( L1,L2,L3 ) with substitute Earthing for Delta transformer or winding ( L1,L2,L3 ) with earthing ( E ) and neutral ( N ) for wye transformers. Where C= 1.5 for Oil filled T/C with Oil Tank, 30 for Oil filled T/C without Oil Tank or Dry Type T/C. Shut down the transformer and disconnect the jumpers and lightning arrestors. Guard the terminals to eliminate surface leakage over terminal bushings. Connect the test leads (avoid joints). Apply the test voltage and note the reading. The IR. Value at 60 seconds after application of the test voltage is referred to as the Insulation Resistance of the transformer at the test temperature. The transformer Neutral bushing is to be disconnected from earth during the test. All LV surge diverter earth connections are to be disconnected during the test. Due to the inductive characteristics of transformers, the insulation resistance reading shall not be taken until the test current stabilizes. Avoid meggering when the transformer is under vacuum. IR between HV and LV as well as windings to earth. For electric motor, we used a insulation tester to measure the resistance of motor winding with earthing (E). For rated voltage below 1KV, measured with a 500VDC Megger. For rated voltage above 1KV, measured with a 1000VDC Megger. In accordance with IEEE 43, clause 9.3, the following formula should be applied. Example-1: For 11KV, Three Phase Motor. IR Value =0.415+1=1.41 MΩ but as per IEEE43 It should be 5 MΩ. For insulation testing, we need to disconnect from panel or equipment and keep them isolated from power supply. The wiring and cables need to test for each other ( phase to phase ) with a ground ( E ) cable. The Insulated Power Cable Engineers Association (IPCEA) provides the formula to determine minimum insulation resistance values. R = IR Value in MΩs per 1000 feet (305 meters) of cable. The first conductor for which cross insulation is being measured shall be connected to Line terminal of the megger. The remaining conductors looped together (with the help of crocodile clips) i. e. Conductor 2 and onwards, are connected to Earth terminal of megger. Conductors at the other end are left free. Now rotate the handle of megger or press push button of megger. The reading of meter will show the cross Insulation between conductor 1 and rest of the conductors. Insulation reading shall be recorded. Now connect next conductor to Line terminal of the megger & connect the remaining conductors to earth terminal of the megger and take measurements. Connect conductor under test to the Line terminal of the megger. Connect earth terminal of the megger to the earth. Rotate the handle of megger or press push button of megger. The reading of meter will show the insulation resistance of the conductors. Insulation reading shall be recorded after applying the test voltage for about a minute till a steady reading is obtained. If during periodical testing, insulation resistance of cable is found between 5 and 1 MΩ /km at buried temperature, the subject cable should be programmed for replacement. If insulation resistance of the cable is found between 1000 and 100 KΩ /km, at buried temperature, the subject cable should be replaced urgently within a year. If the insulation resistance of the cable is found less than 100 kilo ohm/km., the subject cable must be replaced immediately on emergency basis. IR Value for Panel = 2 x KV rating of the panel. Example, for a 5 KV panel, the minimum insulation is 2 x 5 = 10 MΩ. Generally meggering Values of Substation Equipments are. A low resistance between phase and neutral conductors, or from live conductors to earth, will result in a leakage current. This cause deterioration of the insulation, as well as involving a waste of energy which would increase the running costs of the installation. The resistance between Phase-Phase-Neutral-Earth must never be less than 0.5 M Ohms for the usual supply voltages. In addition to the leakage current due to insulation resistance, there is a further current leakage in the reactance of the insulation, because it acts as the dielectric of a capacitor. This current dissipates no energy and is not harmful, but we wish to measure the resistance of the insulation, so DC Voltage is used to prevent reactance from being included in the measurement. >The IR test between Phase-Natural to earth must be carried out on the complete installation with the main switch off, with phase and neutral connected together, with lamps and other equipment disconnected, but with fuses in, circuit breakers closed and all circuit switches closed. Where two-way switching is wired, only one of the two stripper wires will be tested. To test the other, both two-way switches should be operated and the system retested. If desired, the installation can be tested as a whole, when a value of at least 0.5 M Ohms should be achieved. In the case of a very large installation where there are many earth paths in parallel, the reading would be expected to be lower. If this happens, the installation should be subdivided and retested, when each part must meet the minimum requirement. The IR tests must be carried out between Phase-Phase-Neutral-Earth with a minimum acceptable value for each test of 0.5 M Ohms. Min IR Value = 100 MΩ / No of Electrical outlet. (All Electrical Points without fitting & Plugs). Electronic equipment like electronic fluorescent starter switches, touch switches, dimmer switches, power controllers, delay timers could be damaged by the application of the high test voltage should be disconnected. Capacitors and indicator or pilot lamps must be disconnected or an inaccurate test reading will result. Where any equipment is disconnected for testing purposes, it must be subjected to its own insulation test, using a voltage which is not likely to result in damage. The result must conform with that specified in the British Standard concerned, or be at least 0.5 M Ohms if there is no Standard. hi and happy to join you ! i want just to confirm if someone can confirm that IR test can stress the cable in case that testesting requeted every 6 weeks. I need to know the HV and Megger test voltage value and routine tests to be performed for medium voltage 6.6KV cables. Please email me to my email. Thanks for all this good work that you have done. I just have doubt that one of the examples of insulation temperature correction factors is given with a probable mistake from the point I looked to the insulator. If an Insulator measures 15 MOhms @ 20C then it must measure less at 30C. The example you stated mention some thing in contrary (See Below). 1- How to Indicate/Define the minimum pass/criteria value, for the Megger (IR) test? 2- How to Indicate/Define the minimum pass/criteria value and define the test voltage, for the outer sheath test ? To whomever this may concern, whilst the information contained on this website is useful, it is no substitute for the application of competent electrical engineering by experienced practitioners. Electrical engineering practitioners should always read and understand the appropriate guidance, incorrect information is misleading. The primary source of information is described within IEEE, IEC or national standards which must be reviewed before embarking upon electrical engineering works or projects.I wish to thank the author for making this information available to the general public who could be harmed as a consequence. A little knowledge is dangerous. Sir,one 40MVA Transformer which was in service for 3 years.later moved to 300kms and filteration of oil started.After 30 Days Filteration the IR value of LV to earth is 10 Mega ohms.what is the reason for such low value? Excellent work on single paper. Thank you for this very useful article. Is there any IR lower-limit for turn-to-turn insulation in random wound (low voltage) electric motors? Why to avoid meggering when the transformer is under vacuum? An electrician performed Insulation Resistance test on Low Voltage cable between a Generator and switchboard. Due to site constraints the cable could not be disconnected at both ends of the installation, however the circuit breakers were switched off at both ends leaving the neutral and earth connected. Do you think the neutral and earth cable needs to be disconnected or can remain and we measure the IR value between Phase and Neutral/earth. 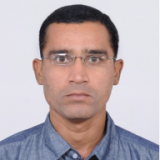 Sir, it has been observed that during oil replacement procedure of a power transformer in one of our Substations IR values were taken after draining of oil and after filling with oil. It was found that the reading was less with oil than without oil. What is the reason? How to check d IR value of 765 kv polymer insulator?? What should b d megger range n what is d value ?? Thanks for your article. I sent your link to one of overhead crane supplier which was located in some part in Europe, because we were requesting for the IR but they say they do not know such IR. Luckily after searching in the web your article showed up. Sir, do you know how to compute the minimum recommended value for busbar? thanks for the valuable tips about insulation resistance and its importance.. ..
an 11 kw AHU motor how much ohms it should have with body earth . thank you for sharing good information. Keep it up. GREAT SITE FOR ALL ELECTRICAL INDUSTRY PERSONNEL. BUG UP! INDEED, THIS IS A GOOD REFERENCE FOR ALL ELECTRICAL ENGINEERS, PRACTICING OR NOT. AND FOR ENGINEERING STUDENTS, TOO. 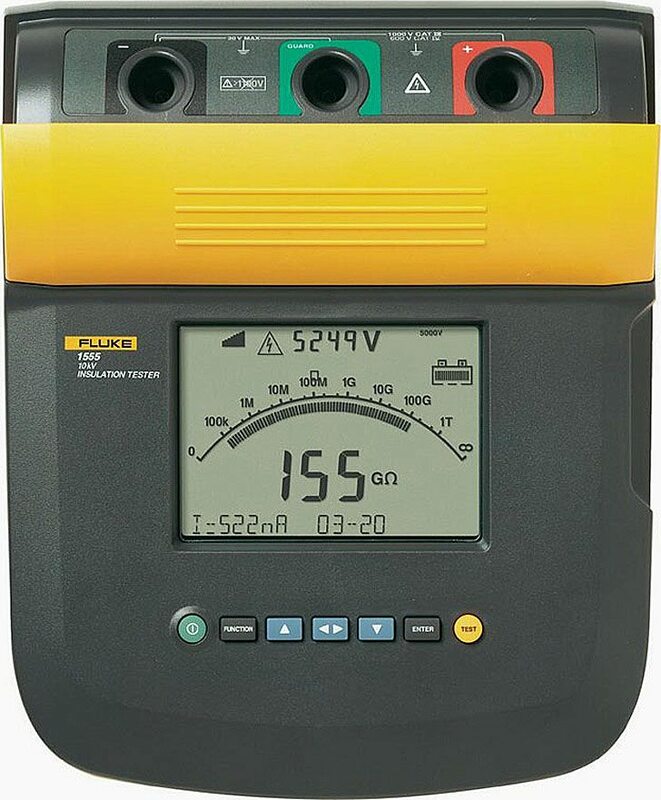 any one tell me about insulation measurement by using Impulse tester and Tan Delta Tester. kindly help me to complete my project. What voltage do u use 5 test a 400v bus bar and what are the expected results. 1. How to perform meggering of a 33/11kv outdoor transformer . What are the permissible IR values for, HV-LV, HV-Earth, & LV-Earth while using digital megger at 5kv. Megger Value of HV 6.6kV 2 MW Motor after No Load Run (4 Hours Running) are coming Low compared to Before No Load Run Reading of Motor IR?? This is happening for both different motors with ideal rating. Can any one explain the Reason??? please ensure the values are corrected for standard temperature. ( i.e – 20 degree Celsius). Definitely there will be a temperature rise of 10 degree Celsius from cold to No-load running. before motor running stator and winding cold condition that time test leakage current more reading showing low resistance. because temperature factor after some hours running the motor current flow to the winding and resistance varying stator heat up and all moisture out of from motor. stop motor after test showing high resistance value because leakage current less.